A tankless unit has a smaller footprint that frees up much needed space in your home or garage. These water heaters are wall mounted and do not have a large water storage thus economizing on space. In some cases, some units can be installed outside your home to avoid taking indoor space in your home. Energy efficiency is the measure of heat transfer from the source of energy to your hot water. Tankless water heaters operate with more than 80% efficiency while traditional water heaters operate at an efficiency of 67%. This shows that tankless water heaters save energy while still providing hot water throughout. In addition, these units save more energy because water is not hated, cooled and reheated within the storage tank. It is important to understand that; traditional water heaters reduce efficiency because of sediment build up in the tank. On the other hand, since tankless water heaters do not have sedimentation problem, it maintains efficiency over the years with minimal or no maintenance. 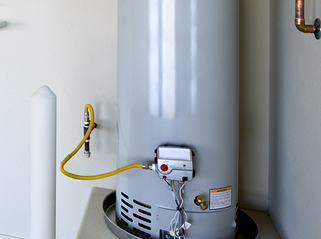 A standard water heater lasts between 8 and 12 years. A tankless water heater on the other hand can last for 20 – 30 years because they are constructed with high quality materials and components making them less susceptible to rusts and water leaks. Also, since they are constructed using modern technology, they are not prone to sedimentation and hence they do not breakdown regularly. Unlike traditional water heaters which run throughout, tankless water heaters in Phoenix, AZ provide hot water when needed. This means that they will only be turned on when someone is within the house and in case of electrical failure he or she can be able to act fast. If you’ve a traditional water heater and its turned on the whole day, in case of mechanical/electrical failure it can burn down the whole house, cause injuries or even death to users in extreme cases.